If you want to learn more about midlife sibling in both the “nearly normal and the dysfunctional aging family join me on October 3rd. I will be in New York on . on October 3 rd to speak at Senior Source a geriatric care management component of Self Help, a renown 75 year old New York Based program dedicated to Holocaust survivors seeking refuge in America, with a distinguished 75 year history, dedicated to enabling the elderly and other at-risk populations to live in their own homes, independently and with dignity. When one parent dies or both are incapacitated the daughter usually steps up to the plate as the main caregiver. Brothers will help sisters but are usually not the lead caregiver, unless there is no sister. Daughter-in-laws come forward then. The daughters who care are balancing one hundred plates, with their own children husband’s and work. They often have to rearrange their work schedule or leave work altogether to offer this caregiver support to their parent or parents. With the birth rate dropping and a 100 year trend towards smaller families, the care giving of a parent or parents is resting on fewer and fewer children. In fact the midlife couple is apt to have more parents than children. Carol Levine, a pioneer in the caregiver assessment movement and a female caregiver herself, points out that the broader view we must take as professionals is that family caregivers are mostly wives, daughters and daughters in law. Most are middle aged. . The majority felt they had no choice but to assume this role. It was not their calling; they felt, but their fate. Whether you and your adult siblings employ formal paid caregivers or one or more adult siblings are doing the care themselves, a family meeting about caregiving issues in vital part of caring for an aging parent. Why should you and your adult siblings organize and run a caregiver family meeting? Caregiver burnout is one of the main reasons aging parents are placed in a nursing home unnecessarily. A family caregiver’s, who can one of your siblings or even your aging mother, risks serious injury, depression and even death in caregiving for older adults. Caregiver stress and burden and how to deal with that caregiver overwhelm, is an essential reason for a caregiver family meeting. A second main reason to have a caregiver family meeting is to fairly divide up the care among the adult siblings and family. Having one sibling caregiver or one aging spouses assume most of the care creates caregiver burden, risking physical and mental breakdown of the caregiver. So adult siblings should hold a caregiver family meeting preferably ahead of a crisis, or in that crisis to save the main family caregiver, usually a sibling or spouse, from about throwing up her hands and quitting. I would highly recommend hiring a geriatric care manager to do a caregiver assessment before the meeting. The geriatric care manager can objectively and professionally assess both the caregiver and care receiver and give the family important feedback. The GCM can advise you as an adult sibling family, on both the issues to cover in the family meeting and how to set up and run the caregiver family meeting. 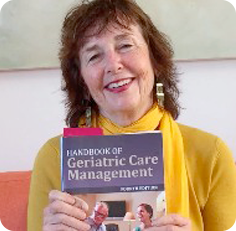 The geriatric care manager can help key members organize the meeting. If you are a” nearly normal family,” and all siblings locks arms in a crisis, the GCM can act as a facilitator, because facilitation is a meeting management skill. If you are a dysfunctional family and instead of locking arms the siblings blame each other in a crisis the GCM will probably suggest a mediator. A professional mediator will organize and manage a sibling family meeting on caregiving that can successfully reconcile alienated siblings with each other and bring them back into the sibling group. The mediator can then organize the adult siblings and larger family to solve the caregiver issues, before the caregiving of an aging parents breaks down and the disaster could have been avoided with the caregiver family meeting, with the help and professional guidance of a geriatric care manager.